1 in 4 college students have a diagnosable mental illness - 80% feel overwhelmed by their responsibilities, and 50% have struggled in school due to anxiety. Unfortunately there is a negative stigma around mental illness, making sufferers ashamed and intimidated to seek help. Since launching our #CollegeWorkshopTour in 2016 we have been fortunate to partner with prominent universities, middle schools,high schools, and nonprofit organizations. I AM. Two of the most powerful words, for what you put after them shapes your reality. Our workshop is focused on the power of words and sheds light on how trans-formative our words towards each other can be. If used incorrectly they can destroy relationships, self esteem and more. If used correctly, words can be uplifting and powerful. We aim to foster positive communication. You’re going to need people in your “squad” who do more than go to the mall, gossip, and “chill”. It is crucial to have an empowering inner circle that motivates you to succeed. In this workshop, we empower attendees to build and maintain positive relationships, create boundaries, and to leave toxic relationships. 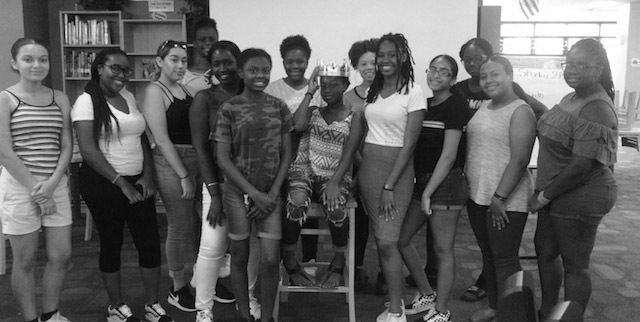 “How you gon’ win when you ain’t right within?” Wise words by Ms. Lauryn Hill that help us understand that we cannot achieve outward succeed until we mend the things that hurt us on the inside.The purpose of this year's workshop is to shed light on the importance of self-love. During this workshop, we will encourage, empower, and equip collegiates with the tools to increase self-love and to better their overall mental health.